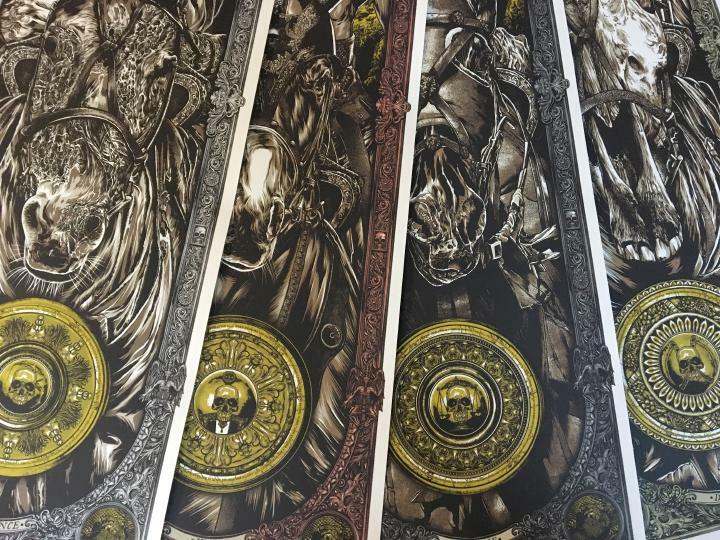 Anthony Petrie continues his ‘A Warrior’s Dreams’ series with a set of 4 new prints. 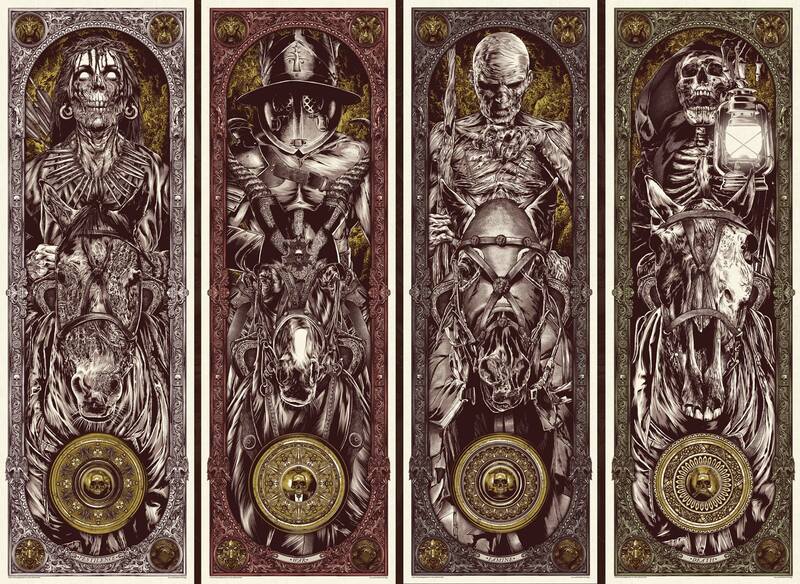 This volume of A Warrior’s Dreams posters is inspired by The Four Horsemen of the Apocalypse. Each poster embodies the harbingers unleashed by the breaking of the first four of the 7 seals in the Book of Revelation. More specifically, referencing the popular culture incarnations as first written in Vicente Blasco Ibáñez’s 1916 novel The Four Horsemen of the Apocalypse. This entry was posted in Art Prints and tagged A Warrior's Dream, Anthony Petrie, Apocalypse by admin. Bookmark the permalink.